With Bach, the Baroque era went out with a bang. 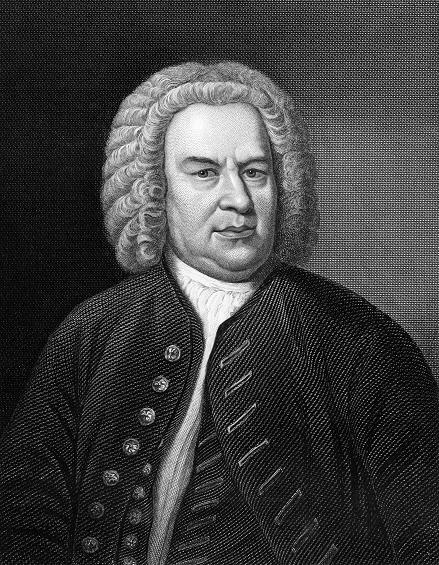 Though the seeds of classicism were very much sown during his lifetime, his sons being some of the prime shapers of that movement, Johann Sebastian Bach remained largely fixed in the Baroque traditions yet was able to fashion them as no-one else, either before him or since, into a towering peak of structural grace and formal perfection. It is this supreme craftmanship, largely unrecognised at the time, which has earned Bach an enormous stature in later years among composers and musicians. He was considered to be old-fashioned by some of his contemporaries, and it wasn't until after his death that his music was more widely recognised and the composer's name reached the stature that it enjoy's today. Though his contemporary Handel moved to England, Bach remained for most of his musical career in his native Germany. He had held a number of posts in various locations as musician or music director to a number of Dukes and Princes, when his first wife died leaving 7 children. In the early 1720s, Bach married his 2nd wife, Anna Magdalena Wulcken (herself a musician) and took up the post in Leipzig where his duties included directing the musical requirements of the local church and associated school. While employed there, the couple extended the family by another 13 (though 7 children did not survive into adulthood) as well as fulfilling the demands of the employment. Unsurprisingly the family were all musically gifted, Bach's eldest son (Wilhlem Friedermann Bach) was a great organist like his father, Carl Philipp Emanuel became a musician in the court of the future Frederick the Great, and Johann Christian was also an organist and moved to London in the employ of Queen Charlotte. Those latter two sons were very influential in the development of classical forms from their precursors in baroque forms such as the Suite. There are many books with selections from the Anna Magdelena Bach notebooks which are a good place to start learning baroque keyboard music. Here are two selections from Sheet Music Plus in the US or The Music Room in the UK. It was as a performer that Bach was perhaps best-known in his day. He was a master of the keyboard instruments of his day, particularly the Organ, Harpsichord and Clavichord. 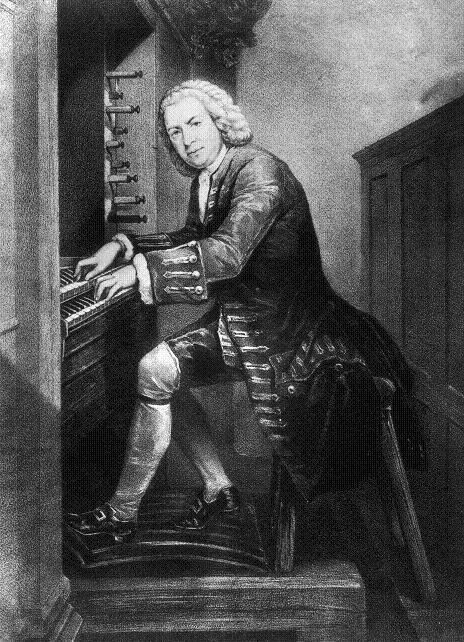 When the "well-tempered" method of tuning was introduced for the early stringed keyboard instruments, Bach was inspired to compose his 48 preludes and fugues (now usually played on the modern piano). Because these sets contain pieces in every possible major and minor key, they illustrate the flexibility of this tuning method. He was a prolific composer of keyboard works for these instruments, of suites and other works for orchestras, and cantatas and other works for singers. Although he occasionally travelled to entertain and meet other musicians, much of his life was spent heading up a cottage industry creating works required for various occasions as demanded by his employment at the time. As per the baroque style, much of his music is contrapuntal in nature meaning that several independent voices are used to weave a tapestry of sound. The king of this polyphonic style is the fugue where rules dictate a certain structure to the interaction of the voices, yet the skill is within these confines to exhibit creative invention. In some ways this theme of freedom within an ordered world mirrors Bach's lifestyle, and he himself became the supreme master of the fugue. His final work, called the Art of Fugue, demonstrated how he could construct a wide variety of fugues with different numbers of voices from a single musical idea. The 6 Brandenberg concertos are of a form known as "concerti grossi" which is something a little more unified than a suite, and later to evolve into the symphony, concerto and other works based on sonata form. These concertos are fairly early works in Bach's career yet they exhibit much invention in the use of different instrumental colours. Here is an interesting video made by the New York Philharmonic Orchestra which is an excellent introduction to these wonderful concertos. Among many now famous works, there are his Mass in B minor, the St. John and St. Matthew Passions, the Christmas Oratorio, the Goldberg variations, the Italian concerto (for solo keyboard), Preludes and Fugues for Clavier, and Preludes and Fugues or Toccatas and Fugues for Organ. Bach is often regarded as being self-taught to a large extent and relatively uneducated. While this may have some basis in truth it is surely something of an exaggeration, likewise the claim that Bach was an unrecognised talent in his own lifetime. Though Bach's works were known to composers such as Haydn, Mozart and Beethoven, it was not until Mendelssohn played the St. Matthew Passion in 1829 that Bach's previously hidden talents as a composer began to get a more widespread recognition. Since then Bach's music has frequently inspired musicians such as Chopin, many composers arranging and adapting his works. In terms of classical composers, Gounod used the first prelude from book 1 of the 48 as the basis for his "Ave Maria", Busoni created a supremely elegant piano version of Bach's Chaconne from a violin work, and Liszt and Rachmaninoff both transcribed Bach works for piano. Many composers have studied his work in much detail and Shostakovich has written his own set of 24 Preludes and Fugues. Even in today's world of popular music, you can still hear singles based on say his Toccata and Fugue in Dm for organ (which was also used in Disney's Fantasia), or his "Air on a G string" taken from a suite, and his Bourée from the Lute Suite in E minor was adapted by the group Jethro Tull. A superb tribute to Bach's undiminished ability to inspire today's musicians is the film Bach & Friends. 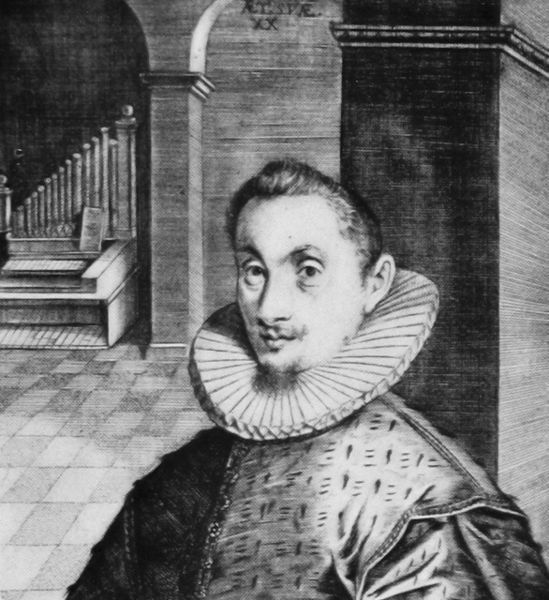 Bach created an arrangement of a melody by an earlier German composer and organist called Hans Leo Hassler (1564-1612). The melody is now best known as the hymn tune O Sacred Head, Now Wounded and Bach's arrangement appeared in his "St. Matthew Passion" and (with different words) twice in his "Christmas Oratorio". 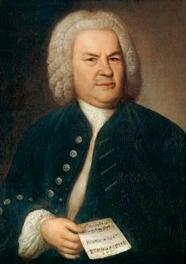 A version of Bach's arrangement is often included in hymnals as the "Passion Chorale", and the melody has been used by several other composers. Hassler's original melody was in fact a love song called "Mein G'mut ist mir verwirret" until it was borrowed as a hymn tune, initially in German and then in English.